Since its debut in 2001, the Fast & Furious franchise has amassed an astonishing eight films and almost $5 billion worldwide. But now, thanks to its growing fanbase and wide net of high caliber action stars, the franchise is doing something it has never done before: a stand-alone film. Fast & Furious Presents: Hobbs & Shaw reunites Dwayne Johnson and Jason Statham as Luke Hobbs and Deckard Shaw respectively. 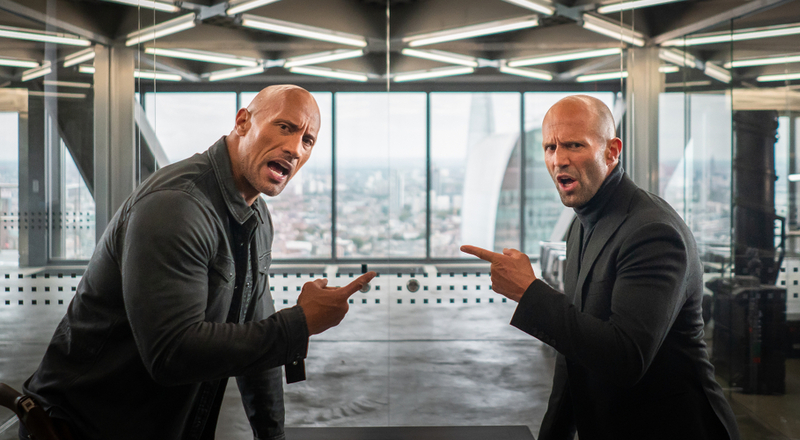 Having first faced off in 2015’s Furious 7 as the loyal agent of America’s Diplomatic Security Services and the lawless outcast, the duo has never been fond of each other, each working hard to bring the other down. But the tide has turned, and the pair will be forced to work together to take down the one bad guy who might just be badder than the both of them: Brixton, played by the always entertaining Idris Elba. Though the premise appears to be even more ridiculous than the last few installments in the high octane franchise, the new trailer does showcase much of what fans have come to expect: crazy stunts, killer cars, and wisecracking humor. We’ll see if this opens the door to a slew of other standalone films within the franchise; I’d be shocked if audiences didn’t turn out for these heavyweight stars. Fast & Furious Presents: Hobbs & Shaw hits theaters on August 2.